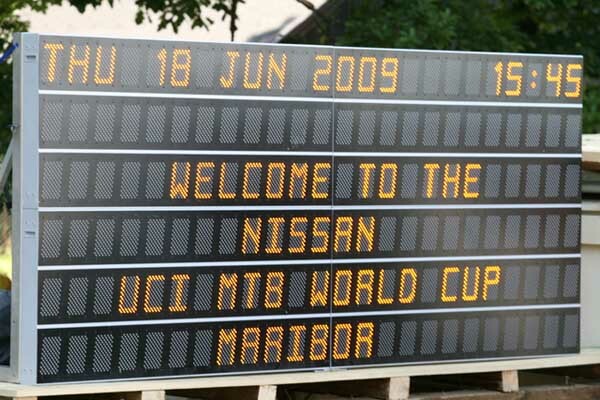 This weekend the final event in the spring campaign of the Nissan UCI World Cup presented by Shimano will take place in Maribor, Slovenia. 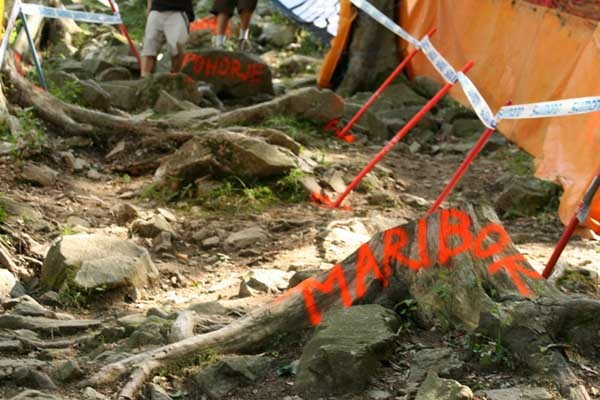 Maribor, one of the friendliest and most intimate stops on the World Cup Tour, will play host to the Gravity Racers for round five of both the 4-Cross and Downhill series. While the teams are enjoying sunny weather in training, there is a strong possibility of rain for the weekend, which could have a huge impact on racing. The 2.5 kilometre downhill run drops 448 metres, with a mixture of terrain that require riders to be all-round performers. Out of the start gate, riders cut across a fast meadow sections before hitting the first wooded section of the course, with rocks, roots and dropoffs. From here it is back to the meadow and carving through bermed corners and a rock garden before ducking back into the forest for the remainder of the run. This is where the course becomes very technical, and time can easily be lost with the slightest bobble. If it rains, this section will become even harder. Finally, the riders burst out of the woods on a spectacular jump before a final sprint to the finish line in front of spectators. In the women's field, Sabrina Jonnier (Maxxis-Rocky Mountain) has taken a commanding lead with three straight wins, and is clearly the favourite. Tracy Moseley (Trek World Racing), the winner of round one, is anxious to get back onto the top step of the podium, however, the British rider faces a whole contingent of French riders in her quest, after France swept the women's podium at round four in Fort William, Scotland two weeks ago. On the men's side, the question is whether anyone can beat the Santa Cruz Syndicate duo of Steve Peat and Greg Minnaar? Between them, the pair have won all four of the previous World Cup rounds, with Peat retaining the series lead over his team mate after Fort William by a slim four points. If anyone can beat them, it will likely be Sam Hill (Specialized Factory Racing), who finished second to Minnaar in Fort William, and won at Maribor in 2007 and 2008. Nathan Rennie (Kenda Morewood) is the only big name to have pulled out of competition, having decided to cut his injury-plagued season short and return home to Australia to prepare for the Worlds in Canberra. Canadian freestyle star Thomas Vanlandingham has joined the start list, so it will be interesting to see how this technically proficient rider does. The 4-Cross course, at 400 metres, has undergone some tweaking by UCI course designer Phil Saxena, which should make it even faster and more exciting for spectators. 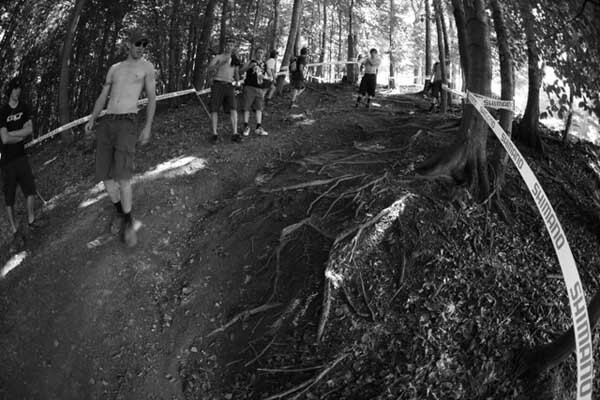 Unlike many 4-Cross courses, Maribor sends the riders into the woods as well as down the ski slope, meaning changing light conditions as well as terrain. For spectators, probably the most spectacular feature is the wall ride halfway down the course - stay low to be fast, or go high for the greatest cheers! Jill Kintner (Red Bull/Intense/Crankbrothers) took the series lead from Anneke Beerten (Suspension Center) for the women with her win in Fort William, but the women's race is still close, with three women having won World Cups so far this season, and Kintner only leads Beerten by 15 points, with round three winner Fionn Griffifths (Norco World Team) at 45 points. Kintner was first in qualifying earlier today, finishing over one second in front of Beerten, with Australian Caroline Buchanan third at nearly two seconds. In the men's series, Jared Graves (Yeti Fox Shox) clearly dominates, having won three out of four events, and leading second placed Romain Saladini (Team Sunn) by a staggering 210 points. 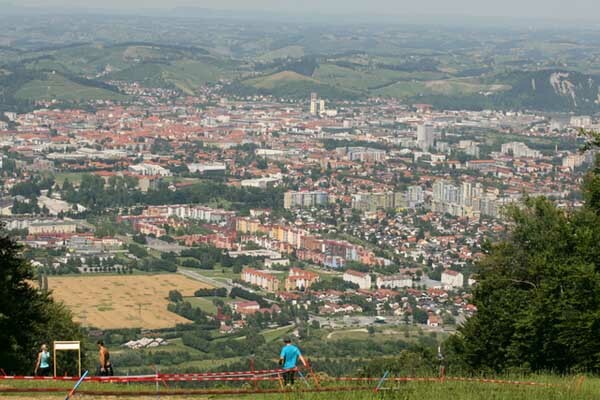 Even if Graves loses in Maribor to Saladini or one of his other rivals like Roger Rinderknecht (GT Bicycles) or round three winner Joost Wichman (Ned), his lead is safe. In qualifying, Graves shwed that he has lost none of his speed, by qualifying number one, and quarter of a second in front of Rinderknecht, with Saladini eight-tenths back.